Opal Gardens » What are Secured by Design Garage Doors? How Secure are Garden Fences? What are Secured by Design Garage Doors? 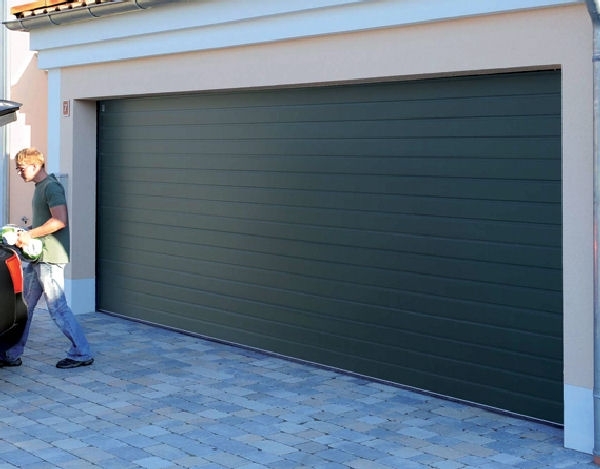 Security is one of the main reasons why people choose to replace garage doors. When they start to get older and more fragile, they may look more vulnerable to people who could try to break in. They will not withstand a break in particularly well, and this could become a source of worry for you. An alarm system alone is not going to do the job well enough – you need to make sure you have a garage door in place that is going to look after itself. One main option for people concerned about safety is secured by design doors. The Secured by Design initiative is run by police in the UK and is their way of encouraging people to ‘design out crime’ – that is, produce designs that are going to be safe, secure and help to actively reduce crime. Products can be classed as having a Police Preferred Specification once they have been tested In accordance with the Secured by Design protocols. Secured by Design status is incredibly prestigious and many brands want to achieve it. However, it is tough to meet the high standard set out by the police, and around 95% of the products tested will fail the first time. There are three very prestigious garage door brands that have met the Secured by Design regulations and have achieved Police Preferred Specification. Check with your supplier if you want to make sure the door you are buying has definitely got the Secured by Design credentials you are looking for. There are many brands that have the Secured by Design status, but only on certain brands and product ranges, so make sure you are looking for the right ones to meet your needs. Lock body protection. This is a plate that is fitted behind the door to protect the lock body, meaning that an attacker can’t gain access to the locking rod anchor point. Anti-snap cylinder. This helps to prevent entry and is fitted in place of a normal cylinder. High security bracing. There are more spot welds, and there are 8 braces behind the door instead of 3 to help prevent the door being forced open. Extra lock reinforcement. Steel plates protect the locking point in each corner. This is alongside 4 point locking, which protects the door at the corner points to resist break-ins using crowbars and other weapons of force. You should also make sure you have your Secured by Design door fitted by a professional. Choose a supplier who both supplies and installs doors, so you know your door will be in safe hands throughout the installation process. A specialist security door is not something you can install yourself because the installation is all part of the process of making it extra secure.